There are so many uses of thyme. 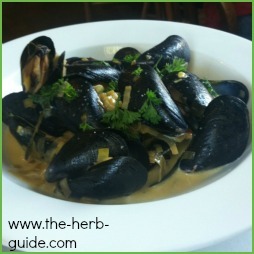 This issue of Herb Guide News shows you how you can use it in a simple but effective household disinfectant and cleaner, cook with it - mussels and chicken (separately! ), how you can use it for skin cleansing and toning and how easy it is to grow. 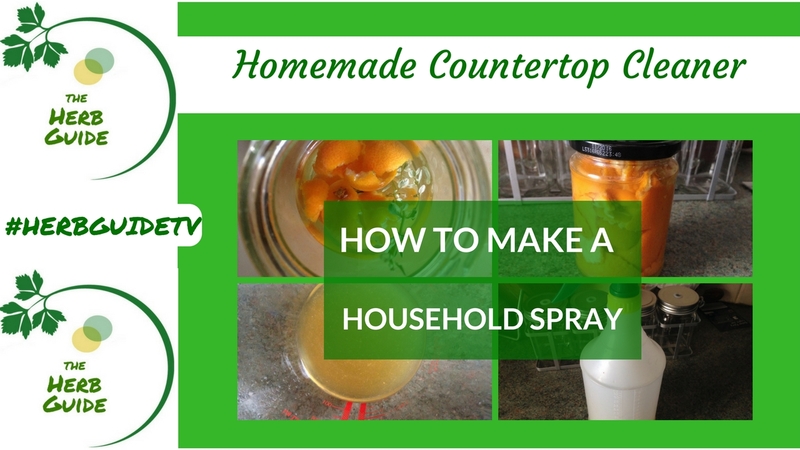 This video shows you how to take some simple ingredients, that you'll probably have in at home already and some stuff you'd throw away normally and make a fabulous scented countertop spray. Vinegar is a great disinfectant but it smells quite a lot - this method of making a household spray will make it smell gorgeous. However, white vinegar, which has effective anti-bacterial properties, thyme which has powerful anti-viral, anti-fungal as well as anti-bacterial properties combined with citrus peel makes a great disinfectant. Use it as a degreaser, to descale, to disinfect work tops - I use it to clean windows. It takes a bit of elbow grease, but is really effective, smells lovely and de-greases them. Mussels with white wine and thyme - gorgeous with some crusty bread to mop up the juices. I love mussels - my favorite out of all the shellfish. The instructions for this herby stuffing are for sage and onion - BUT Parsley and Thyme can be substituted and that is the traditional stuffing for poultry. Use a handful of fresh parsley and three sprigs of thyme - or 2 tablespoons dried parsley and two teaspoons of thyme. Everything else is the same. There are step by step instructions with photos here. Once you've had homemade stuffing, you will never buy it again. I'd rather do without now. You can shortcut the making of it by having a poly box of ready made breadcrumbs in the freezer ready to use. It's a good way of using up the ends of bread when they've gone stale. Thyme for skin - yes, and it's very effective. 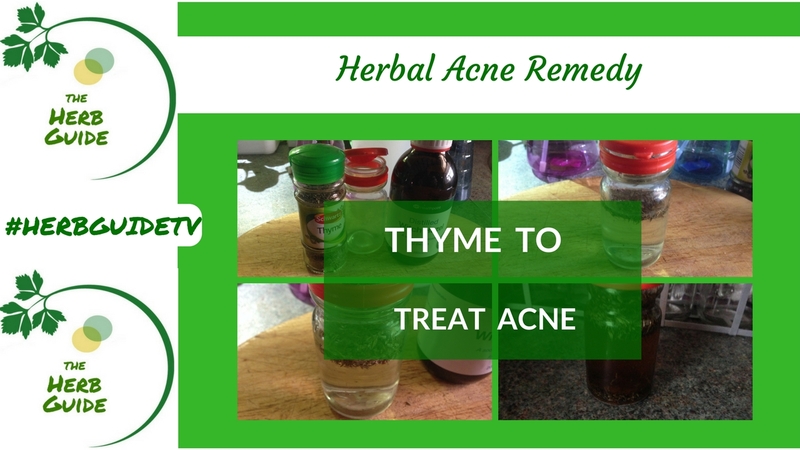 I've made a very simple Herbal Acne Remedy using dried thyme and witch hazel. The problem with acne (any type) is that it sometimes stops responding to the treatment you're using and it flares up. It's almost as though the treatment is 'feeding' it. That's why a few natural acne remedies are handy, to be able to swap around if you need to. 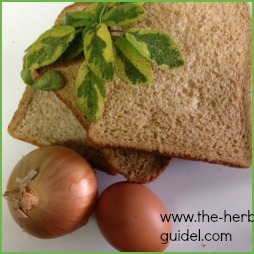 Do not substitue thyme oil if you're pregnant - you're not ingesting it, but avoid it. Thyme is perfectly safe to use in cooking - the whole herb, whether fresh or dried - but thyme oil may not be. There is some dispute as to whether witch hazel is safe - but it's recommended for haemorrhoids brought on by pregnancy, so if you can use it down there, I don't suppose wiping it over your face is going to do any damage! Check with your doctor or nurse before using - as ever, caution is advised. You don't want to do anything that would endanger your baby. I don't think anybody's ever counted how many varieties of thyme there are - well, somebody must have done, but I don't know! It makes great ground cover and will self seed like crazy. 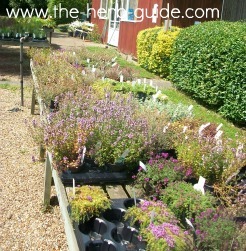 You can plant thyme in gaps in your paving and when you walk over it, you'll get the most amazing smell. I've seen garden sculptures made out of thyme. Just chicken wire or bought forms twisted into a shape, filled with dirt and small plants pushed in. Over a season, you'll have something really beautiful, useful and evergreen.